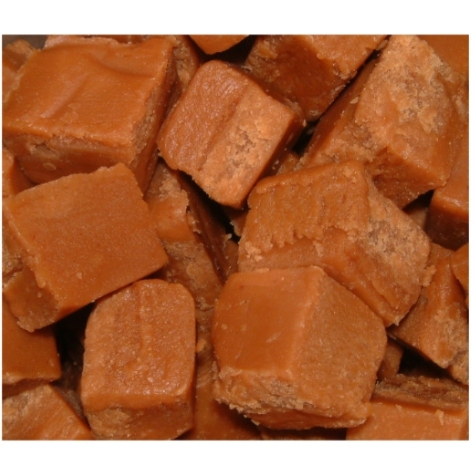 Straight from our Jars in the shop soft, creamy chewy fudge with a slight grainy texture from the clotted cream, Ideal for use in the chocolate fountain it comes ready cubed for dipping or can be cut into smaller pieces. Comes in a clear plastic bag. ingredients: sugar, glucose, skimmed sweetened condensed milk, vegetable fat, clotted cream, fondant, soya lecithin, vanilla flavour. contains milk & soya.